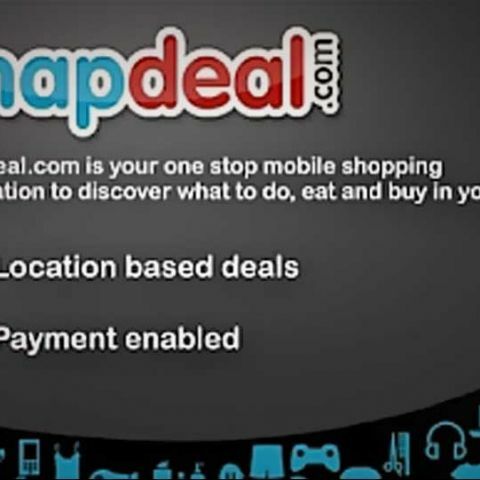 Snapdeal, has launched a mobile application for Android users. This app will enable easy access for mobile users, to thousands of brands across various product categories, which are showcased on Snapdeal platform. The company also recently launched its WAP site as well. Pay using secure payment options from your credit card. Like a deal or product spread the word. Share it through facebook, E-Mail or SMS. Create your account and view deal history bought by you in My Account section. Snapdeal is another addition to the apps launching for smartphones that are catering to the Indian audience. If you want to take a look at the other app that is India specific, click here. How to Build an Android app? What is the use of an activityCreator in android app development?